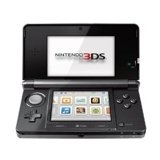 Our professional buyers offer competitive prices on a range of Nintendo. When you Nintendo, make sure you select the correct model from the list of Nintendo game consoles above. Sending in a game console that doesn't match your description can delay your payment or result in requotes from your buyer. If you're unsure what Nintendo model you have, just contact us! We're here to help! The first step in getting cash for your game console is to select the brand of the console you are selling from the list above. You will then be presented with offers from uSell's network of professional buyers. You pick who to sell your game console to based on the prices offered and user reviews from other sellers. The whole process takes less than one minute!